Doesn’t Have to Be so Difficult . . .
and Lonely Friday Nights . . . and Finally Allow Real Love Into Your Life! Scared and alone, and feeling unloved? On an emotional roller coaster? I believe I came into this world to do exactly what I am doing now, teaching spirituality in ways that help people have fulfilling and meaningful lives in all areas. As early as I can remember I have pursued an active, purposeful spiritual quest. One day when I was about 6 years old, I decided to sit down with my grandmother’s bible and read it from cover to cover! I don’t know where I got that idea, but I sure made an attempt. From then on, I was always reading spiritual books from all traditions and cultures. My mother thought I was the oddest child, but during my teen years she actually began to ask me questions about what I was reading, and what I believed to be true. We were not regular church goers, but we were good AMEZ Methodists, and that was good enough in my family. But, I was on a spiritual quest that continued through my college years, and into my first job where I became aware that people looked to me for advice on love and spirituality. In my first job, my boss, who was nearly twice my age, used to routinely sit down with me and discuss his love life! What I know now is that I helped him experience his own true value in the midst of a difficult time, and that was a powerful transformation for him. My life has always been like that, attracting people who need support in the areas of spirituality and relationships. After all, the main relationship is with ourselves, and then we can extend that outwardly. As a coach today, I love knowing that I can assist people with issues of self-love, self-worth, spiritual connection, and yes, finding their perfect partner. In doing this work I feel I am living my purpose. I am lit up from within, and confident that I am helping to make a real difference for someone. I know that I am a teacher at heart, and it is my passion to help others learn and grow. and the excitement of starting a new chapter in your life. 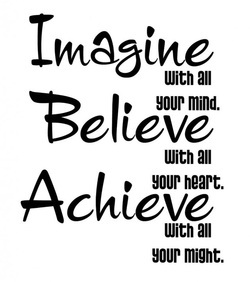 I want you to know that all of this is possible for you when you attract your Mr. Right. They are the same experiences my private clients have had, and are continuing to have as a result of working with me. All it takes is willingness and a commitment on your part to work through the fears and old baggage that have kept you from attracting Mr. Right up until now. By having the willingness to look at some of your past beliefs, blind spots and behaviors, you are making a statement to the universe that say's "I am ready to allow Mr. Right to come into my life." And if you’re truly ready to make this commitment to yourself, I’m ready to guide you step by step through the powerful process of inner transformation that will allow you to attract your Mr. Right, and create the relationship you deserve with the true love of your life! What makes my program so successful in helping highly successful independent women attract their Mr. Right? Well, it's no secret really: It's all about creating the love you want to experience from the inside out. In other words, you have to give up searching for Mr. Right, and instead make the commitment to learn how to "allow Mr. Right to come into your life." I know, I know, that may not make much sense at this moment but I assure you this is the secret. But there’s a second part of the secret. When you make a commitment to transform your relationship patterns you will need to know how to overcome the hidden obstacles and challenges that have been keeping you from finding your Mr. Right. ***Then, you'll need to learn how to transform yourself into “The One” for your future partner, so that you are ready to accept love when it appears. And lastly, you need to align yourself with your “Love Destiny” to attract your soulmate into your life. That’s why I developed the Calling In “The One” 7-week interactive online course. I’ve seen far too many people with good hearts and good intentions run up against the same obstacles again and again as they try to change their lives. So I’ve created a powerful step-by-step process in order to help you transform in the specific ways that are truly going to make you magnetic to the love you yearn for. My proven Calling in “The One” system will guide you step by step through each phase of this process in just 7 weeks, and in less than two months, you will know exactly how to attract the conscious, committed, spiritual partner of your dreams, and together co-create the beautiful life you’ve always believed was possible. Identify your top 10 values in a relationship. Identify the top 10 qualities you want in a relationship. 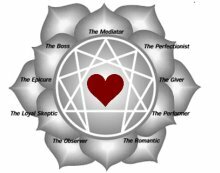 Learn about the 5 relationship archetypes and what they say about you. Identify your relationship pattern so you can gain clarity and avoid relationship sabotage. Learn how to understand yourself so you can attract your Mr. Right and stop attracting Mr. Wrong. Week 3: Identify Your Limiting Beliefs Are So You Can Stop The Cycle of Disappointing Relationships and Heartbreak. Stop the cycle of disappointing relationships and heartbreak. Learn the true meaning of Feminine Power and how to use it to get what you really want. This one is a game changer ladies! Uncover the real reasons why you don't currently have the love of your life. Week 4: Learn How to Read The Signs The Universe is Giving You. Week 6: How to Set a Clear, Powerful Intention to Attract The Partner You Want. Learn how you can deliberately and intentionally naturally attract your perfect partner. Learn the importance of having the right mindset in your relationships. Get ready to date again from a place of confidence and faith. Two customized resources for your success library so you can deepen you awareness about yourself.